The image below is of the Captain's Note from the North Korean ship that was intercepted last year trafficking 240 tons of weapons from Cuba. 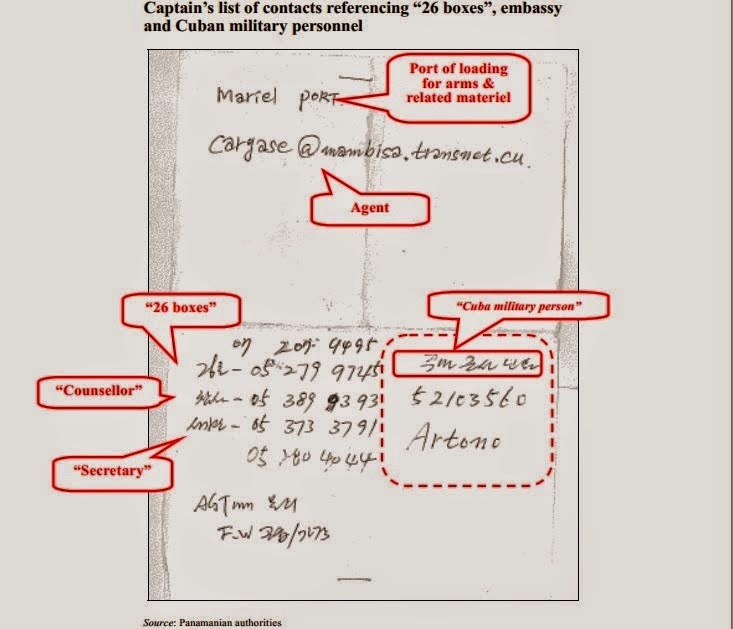 It shows his instructions to pick up the shipment at the Port of Mariel and identifies the Cuban military contact. Note that the Port of Mariel was officially inaugurated in January 2014. Yet, the weapons were loaded on June 20, 2013. 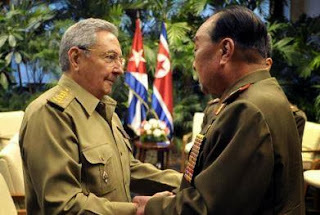 The only two entities with access to the Port of Mariel were the Cuban military and its Brazilian partner, Odebrecht. 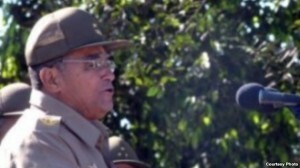 The Cuban regime’s complicity is also reprehensible and must be punished. 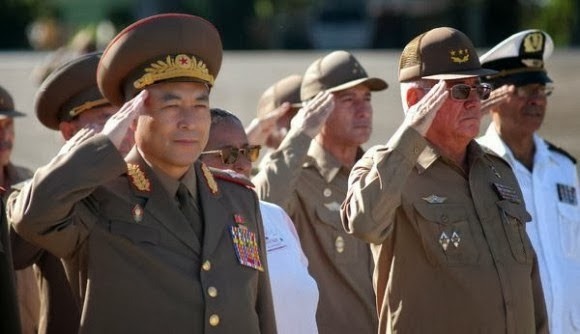 The Cuban regime’s alliance with North Korea and its active involvement in facilitating this type of illicit activity in our own hemisphere is a threat to America’s security as well as the region. Will Cuba suffer any consequences for this violation of international sanctions and threat to "global security"? Or will it continue to be "business as usual"? As we streamline the travel and trade, we're also working together to stop illegal trafficking. Panama has interdicted 175 metric tons of cocaine. Cooperation between our law enforcement agencies is excellent and been at a peak that hasn't existed before. And Panama is rising and in some cases exceeding its responsibilities not only to us, but to the region. 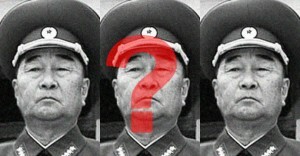 And so last July, a vessel traveling through the Panama Canal from Cuba to North Korea claimed it was carrying sugar. Well, it was a sweet cargo, but it wasn't sugar. It wasn't sugar. And Panama did something we haven't come to expect everywhere in the world -- it stepped up. It stepped up where others might have stepped back. We think it's a violation of U.S. sanctions. But, nonetheless, Panama stepped up. You found and confiscated weapons heading from Cuba to North Korea. The United States is thankful for your taking on that international responsibility. And you made a significant contribution for real to global security, not just U.S. security. We are pretty well capable of handling our own security. But you contributed to global security. That is what responsible nations do and that's what you have done.